Harvey Marcotte is a singer/songwriter, from Bear River, Nova Scotia, who has his feet firmly planted in the fertile soil of a family musical tradition. Growing up in a French community on Rhode Island and encouraged by musical parents, Harvey learned to sing and play various instruments. At the age of 15, he was performing in a folk trio with his sister and a friend, playing guitar and singing harmony. He was also a member of the famous Acadian band “Blou,” before going solo. Over the years, Harvey has honed his songwriting skills, and many of his songs reflect strong family ties and a rich ethnic background. His self-titled CD is a collection of original tunes, underscored by Harvey’s warm voice and strong, fresh-sounding melodies. His instrumental abilities also shine through on this recording. 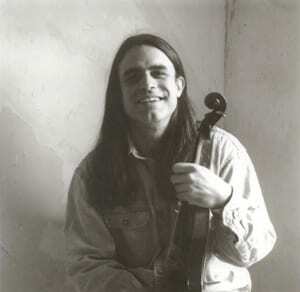 As well as possessing strong guitar skills, Harvey is an accomplished fiddle and mandolin player, with a solid repertoire of traditional fiddle tunes to draw on. As a performer, his cheerful, relaxed delivery and eclectic repertoire ensure Harvey is a hit with audiences.